One of my biggest complaints about the otherwise delightful Atelier Rorona: The Alchemist of Arland DX was its time limit system. With every action moving you closer to a strict deadline that’ll force the story forward—or send you to a game over, if you aren’t careful—there’s little room to just experiment with the game’s systems, grind levels, or what have you. Such systems weren’t uncommon in older Atelier games, but playing Rorona for the first time in 2018, it felt somewhat out of place. 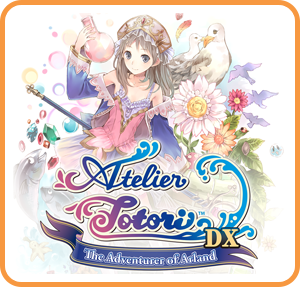 In that respect, Atelier Totori: The Adventurer of Arland is a breath of fresh air. It retains everything I loved about Rorona (and the Atelier series in general), and while it still has a time limit, that system has been completely revamped. It’is less about forcing you to carefully manage your time lest you “waste” precious days and more about keeping you working towards in whatever way you see fit. In Rorona, you’re given a new mission every three in-game months; fail that, and it’s game over. Each new main objective came with a handful of other tasks that, while optional, offered up extremely useful rewards. The result is a game that requires careful planning and time management, and leaves little room to just explore what there is to see and do. In Atelier Totori, you have one, single, overarching goal as far as the time limit goes: increase the rank of your “Adventurer’s License” to a certain level by the end of the third year. Every action still costs time, but there isn’t the pressure of an ever-present deadline, and it’s easy enough to reach the required rank within the given three years, with plenty of leeway for “wasted” time. But perhaps more important, how you use your allotted time is largely up to you. To rank up your license is simply a case of earning enough adventure points, which you get for fulfilling tasks set out on your Adventure License. These cover just about anything: completing requests from the Adventurer’s Guild, crafting items, killing certain monsters, exploring the map, and so on. You can be a jack of all trades, completing a wide array of relatively easy tasks and amassing enough points just from the volume of small victories. You can focus on something specific—say, building up your team’s combat prowess—and reap the more lucrative rewards of the more difficult challenges in that sphere. What this means is that despite the looming deadline, there’s never the sort of pressure that came with Rorona‘s three-monthly quests. Unless you’re literally just wasting time by sleeping days away, everything you do is contributing towards the overarching goal in some way; even if you get lost and spend a month just roaming the map or botch a synthesis, those count towards Adventurer License targets for days spent travelling and failed synthesis attempts. Moreover, you never have to worry about missing out on the rewards that come with those tasks. In Rorona, if you let a sub-objective’s deadline pass you by, the rewards that come with it—often very useful things, like new recipe books or permanent stat boosts—are lost to you. In Totori, all the Adventure License tasks are available until you complete them. Even with this renewed freedom, Totori‘s deadline system still keeps the story ticking along. There’s still that imperative to be doing something with your allotted time, and doing whatever somethings you choose to do inevitably keeps treating you to new developments in the both the main plot and the various side stories. That’s for the best, because as easy as it is to get caught up in trying to craft the perfect bomb or kill every last monster, it’s the stories that give Atelier Totori its heart and soul. This time around, the focus is on Totori, a student of the previous game’s hero. For Totori, alchemy is a means to an end: she wants to become an adventurer so that she can search for her mother, who disappeared some years ago. For the most part, it’s a simple framework that sets up the kind of momentary slice-of-life stories that Atelier thrives on, but it also adds an emotive hook to the central narrative that was absent from Rorona. Even with a tone that’s light and cheery overall, there’s an undercurrent of both sadness and hope that textures everything Totori does. Atelier Totori‘s numerous side stories tend to balance that out, leaning heavily on charming, humorous slices of life. There’s a wide array of people who come into Totori’s life—both returning characters from Atelier Rorona and newcomers—and the more time you spend with them, the better you get to know them. Whether it’s Mimi’s terrible attempts at presenting as a standoffish noble to mask her awkward shyness, Mel’s constant playful teasing of everyone around her, or Pamela’s comical struggles with living a human life, each story is a heartwarming look at the everyday life of the people of Arland, far removed from the usual high stakes of a JRPG. There’s something comforting in that. Indeed, “comforting” is a good descriptor for Atelier Totori overall. It’s a game built to make the most of the zen-like quality of grinding activities common to JRPGs without ever letting them become tedious, and an invitation to a warm, enchanting world full of delightful characters. ← Previous Final Fantasy XIV: Shadowbringers will have gunblades, Viera, and… NieR?